Boomerang's custom ABS plastic tire covers are professionally painted with a base coat with clear coat to match Jeep Wrangler JK factory colors perfectly. You'll love the finished look they add to the vehicle. Installation is quick and easy. Features a heavy, UV-resistant, smooth-finish black vinyl band with elastic cord inner edge. 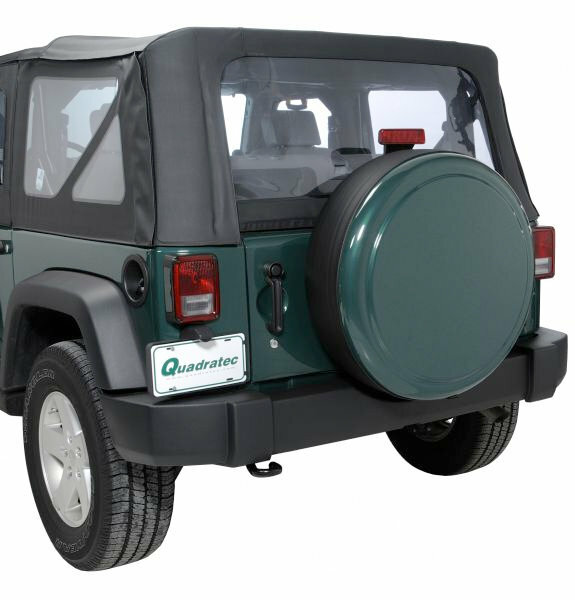 Optional cable lock secures tire cover and spare to the tire carrier.